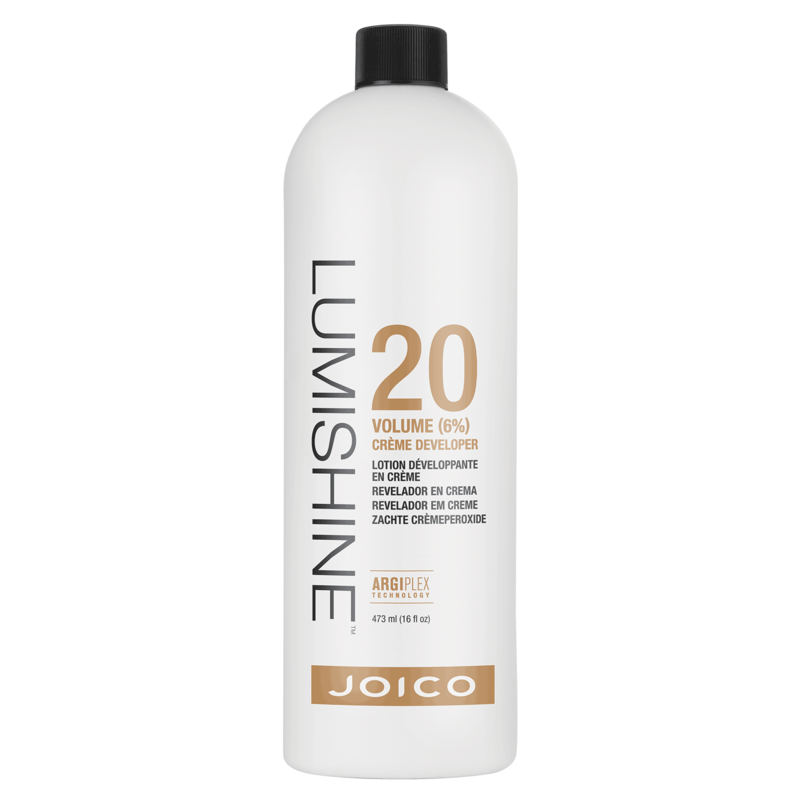 (E) 20 Volume (6%) Crème Developer activates the exclusive ArgiPlex technology in Joico LumiShine Permanent Crème Color. 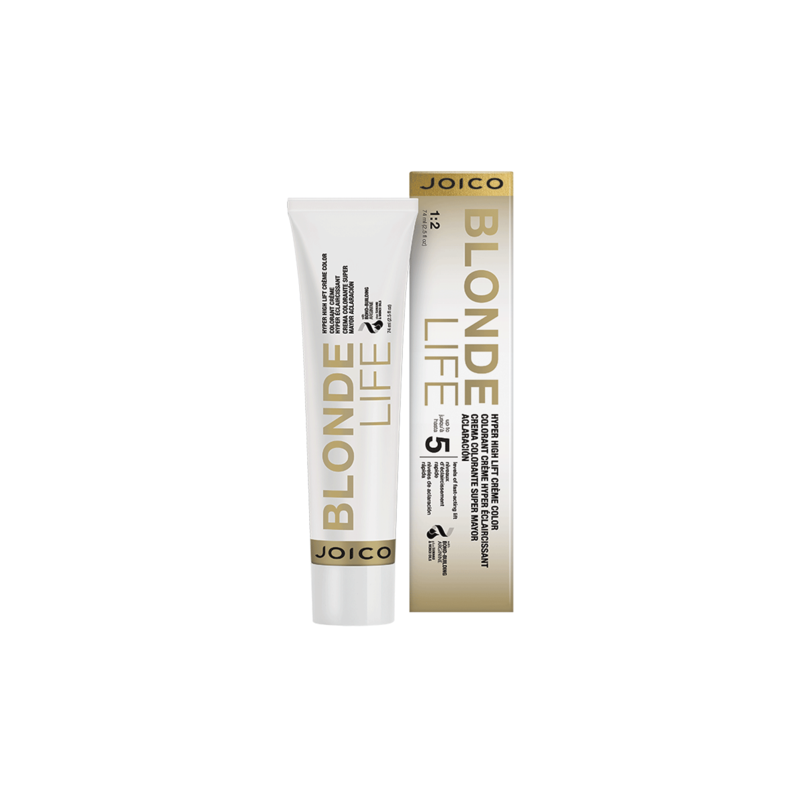 Blonde Life Brightening Shampoo to nourish and illuminate. There’s nothing wrong with having a blonde moment. Especially if that moment is spent gently cleansing your highlighted hair with our extraordinary sulfate-free shampoo—a satisfying experience that lifts away dirt and oil, restores hair’s optimal pH level, banishes brass, and produces a luscious lather that most sulfate-free shampoos simply can’t muster. Forget those dense, overly heavy moisturizing treatments designed for bleach blondes. We’ve teamed the lightness of a lotion and the power of a serum in our deeply nourishing conditioner that instantly revives blonde hair without weighing things down. 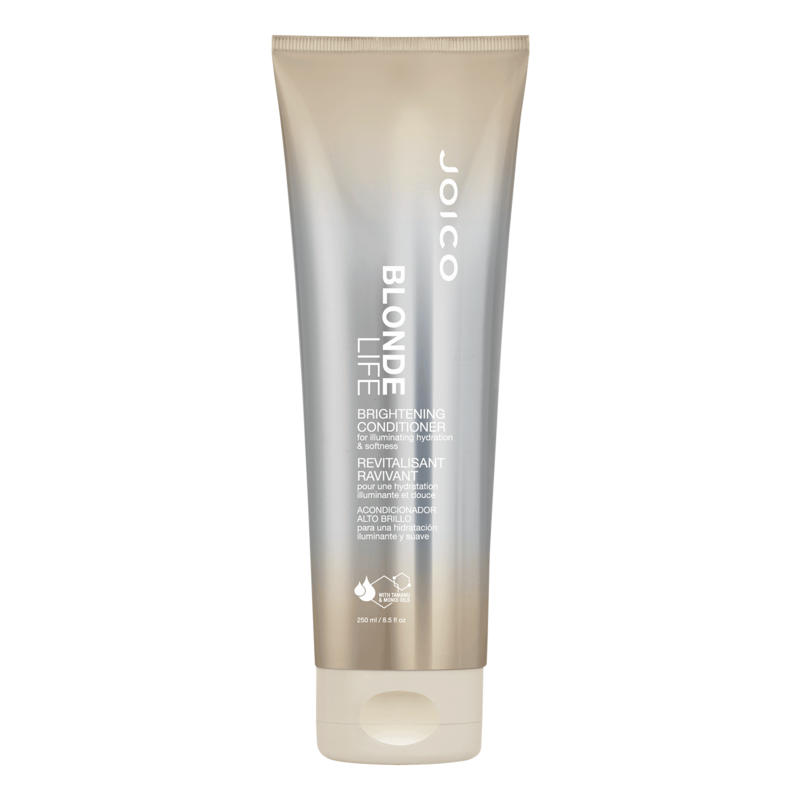 Each highlighted strand is polished to a high gleam, giving you the kind of champagne shine and detangling power that makes you feel bubbly all over. Blonde Life Brightening Masque to intensely hydrate, detox and illuminate. Masques are for hiding things...but it won’t be your blonde hair once you’ve spent a few minutes with our brilliant blonde-brightening formula. 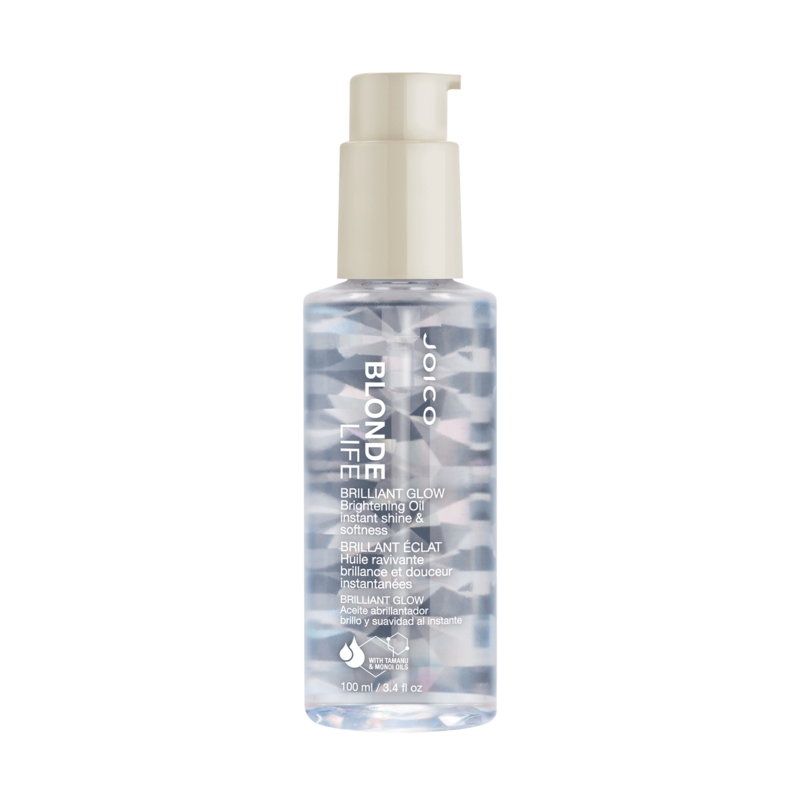 This quick-rinse, magician-of-a-treatment instantly hydrates, softens and amps up your pale strands by neutralizing those nasty trace minerals that lead to dullness and yellowing. Nothing heavy, nothing greasy...just on-tone, crystal- clear perfection here. We love blondes. We’re fanatical about them. And we go especially gaga over those who proudly and unabashedly choose to lighten up. 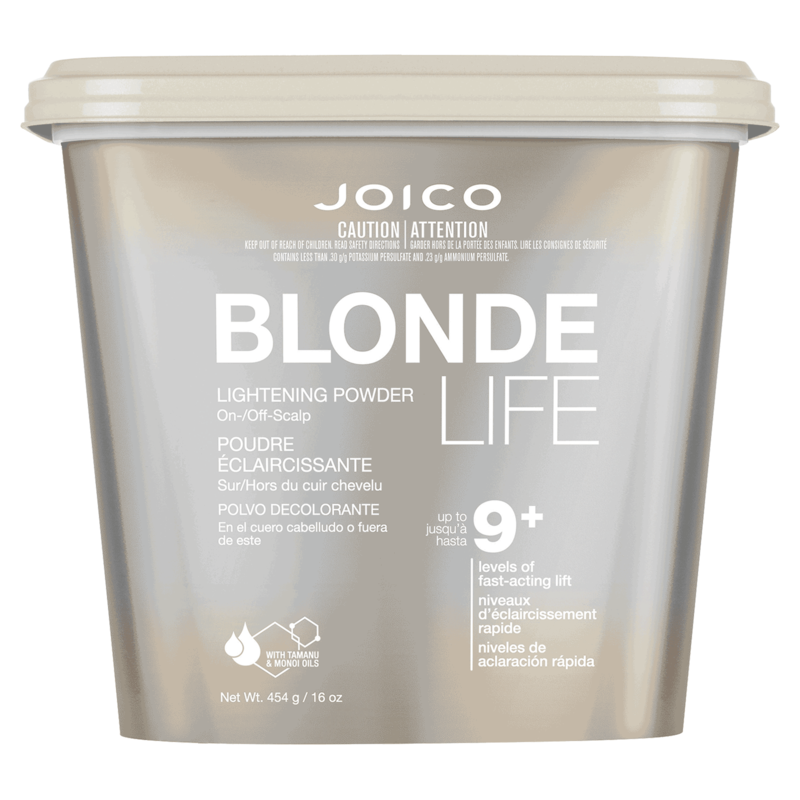 For that very reason, we’ve created BLONDE LIFE™: a lightening and brightening system just for blondes... and those who want to be lifted to new heights without sacrificing hair’s shine or condition. 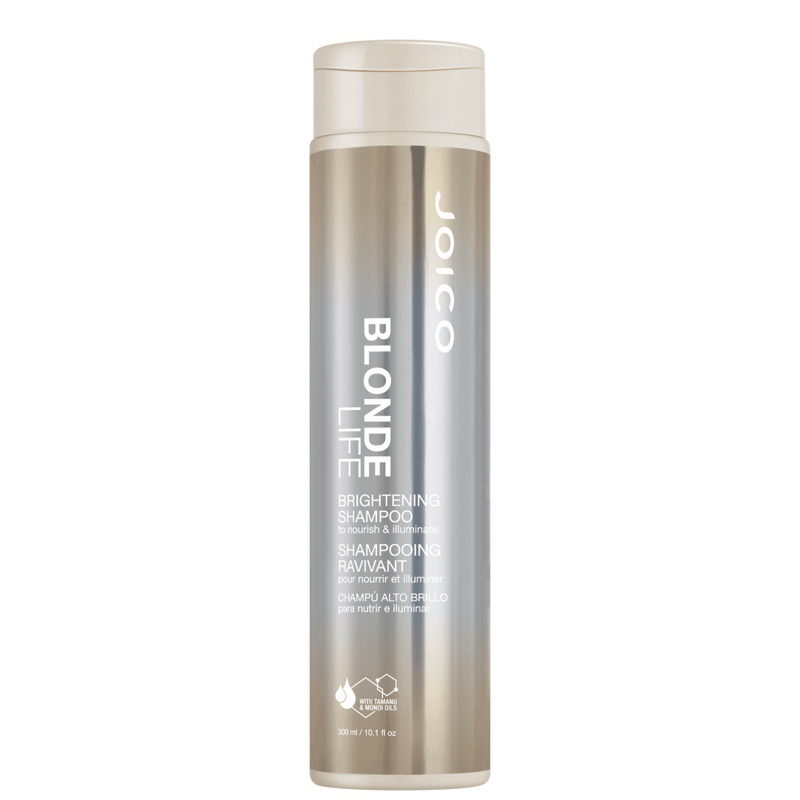 A multi-tasking wonder that treats vulnerable blonde locks and protects them from mechanical, thermal and UV damage for beautifully brilliant, healthy looking blondes that shine. Brightening Veil joins our Blonde Life Care collection of Brightening Shampoo, Conditioner and Masque to offer all blondes serious care and protection against some of blonde hair’s biggest enemies! 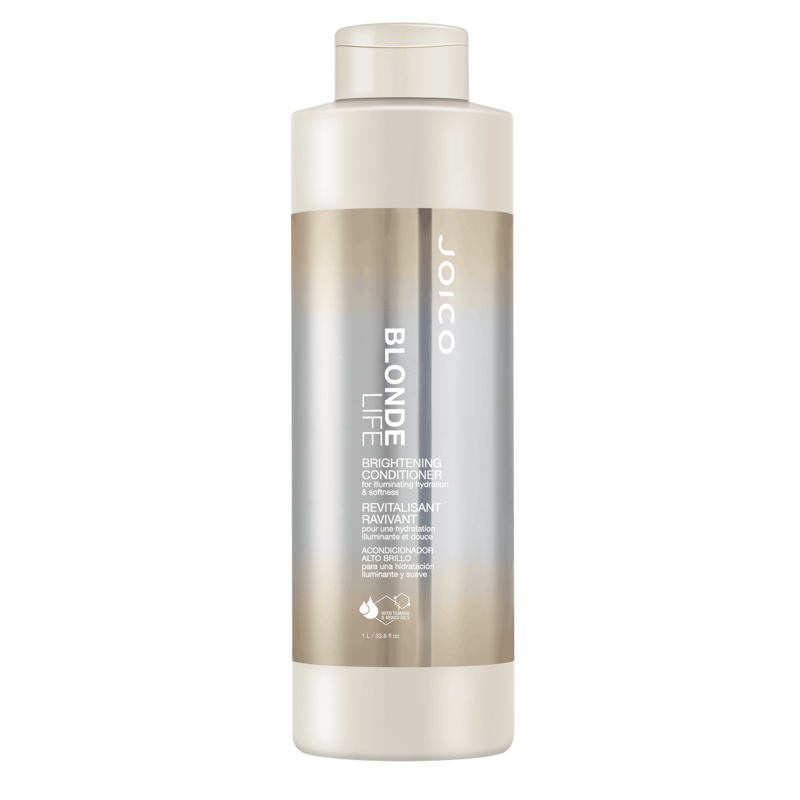 The power to go pale without bleach; deliver the healthiest blonde on the block; and achieve up to 5 levels of lift to natural hair without sacrificing a single strand. That’s the magic of Blonde Life Hyper High Lift Permanent Crème Color, now available in three new shine-enhancing shades: Champagne, Pearl, and Clear Booster. 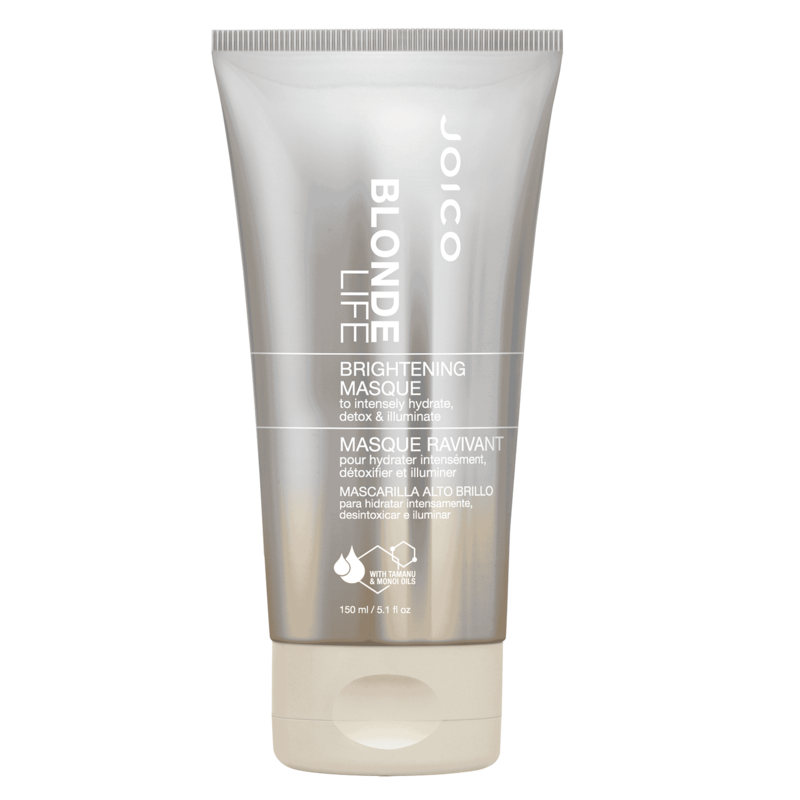 With one-step lightening and toning, plus a built-in hair defense system that strengthens strands from the inside out, you’ll swiftly nail dreamy blonde looks. 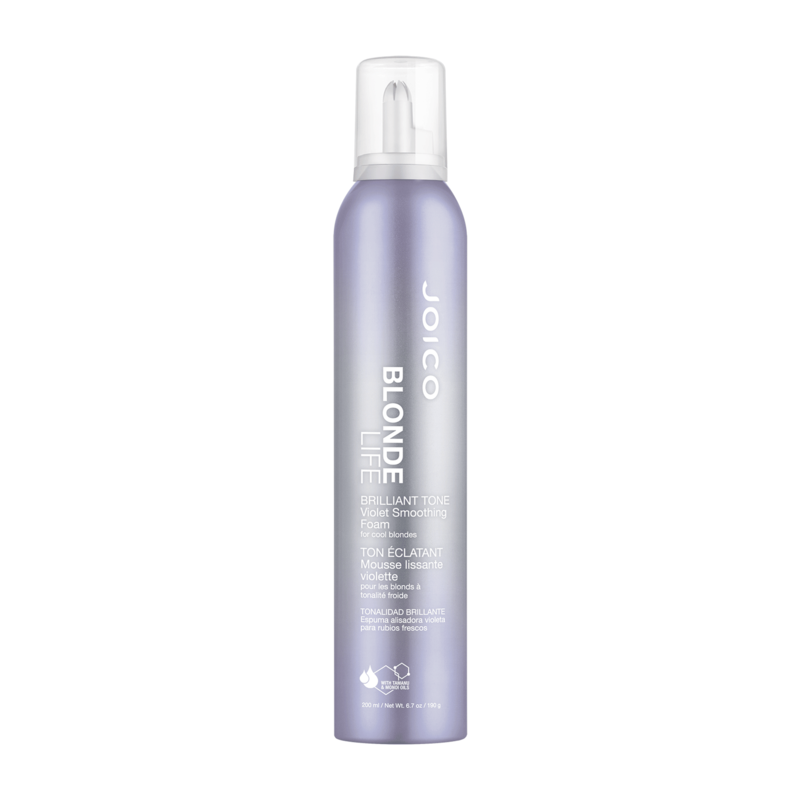 Luxuriously creamy and cool as can be... that’s the beauty of NEW Blonde Life Brilliant Tone Violet Smoothing Foam, the dual-action styling breakthrough that tackles brass and leaves hair exceptionally smooth, super soft, and Blonde Life bright. Get ready for a blast of crystal-clear shine and softness–the kind of gorgeous illumination that puts a powerful spotlight on blondes. 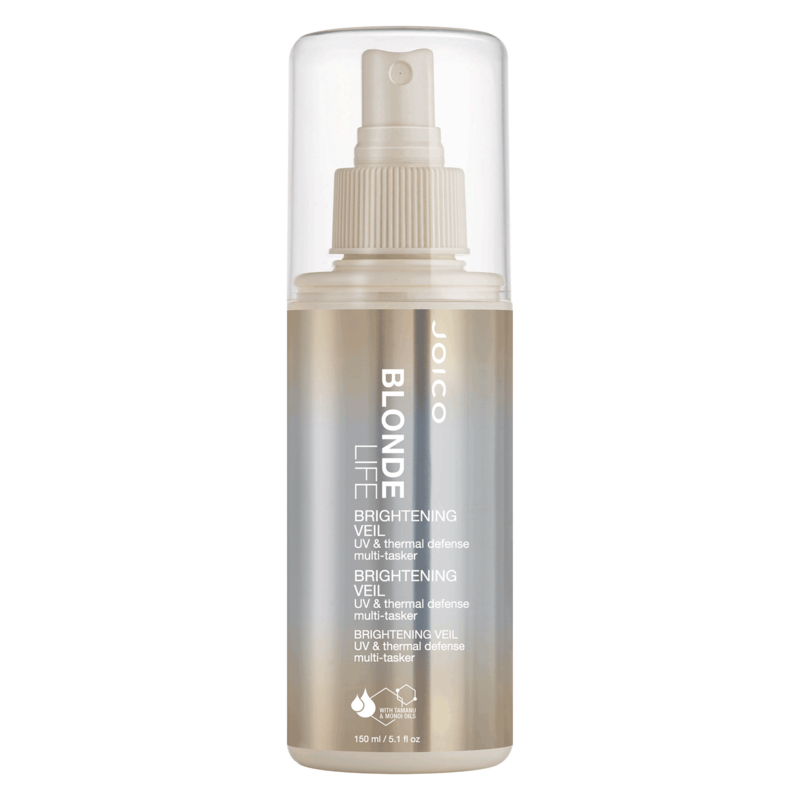 Just a single application of NEW Blonde Life Brilliant Glow Brightening Oil instantly revs up the radiance of even the lightest blonde hair, nourishing and protecting each delicate strand with a megawatt gleam.